By flipping a to-go container top upside-down, Cuba Libre restaurant in Old City, Philadelphia, successfully solves one of the pressing issues of packing a restaurant dish to go. The cold parts of the dish — in this case, a side salad — are placed in the bottom of the container, then a plastic top is turned inside-out and placed over it for protection. 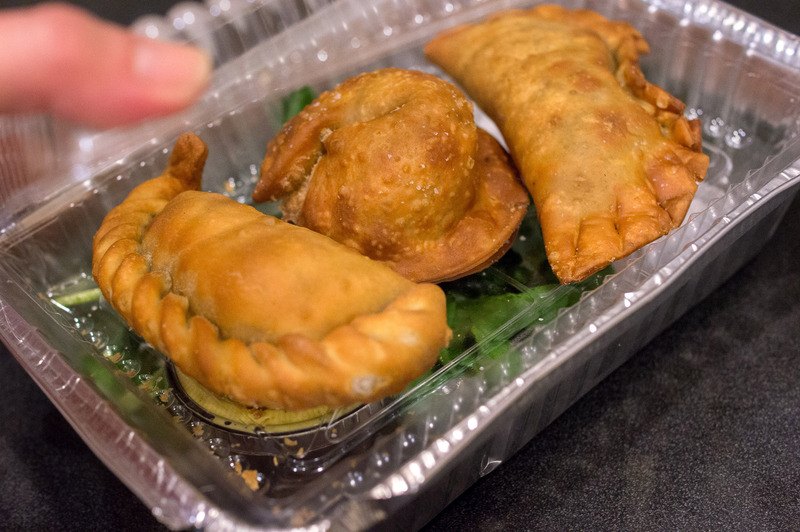 The shallow opening is then used as a double-boiler style container for the hot items (a trio of very tasty empanadas), which are capped by a second plastic lid.